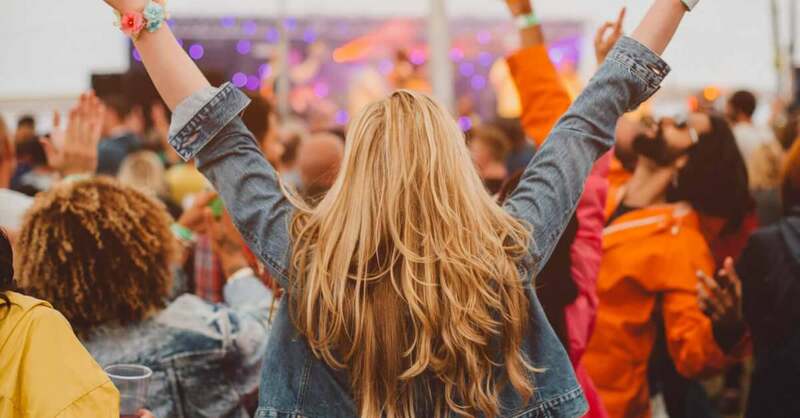 It’s finally festival season, and we’re here for it! If you’re excited about sun-drenched fun, amazing music, and once-in-a-lifetime experiences, well so are we! And we’ve got everything you need to pack so you can live your best (festival) life. 1. Soothe a sunburn naturally. Pack a seriously skin-soothing Lavender scented Aloe Jelly to use if your tan turns into a sunburn without warning. Lavender Aloe Jelly is gentle and hydrating, can be used even on sensitive skin, and penetrates deeply to help soothe dry, irritated skin. Plus it smells amazing! 2. Get glowing after the sun goes down. Glowing, tanned skin is a must, especially after the sun goes down. 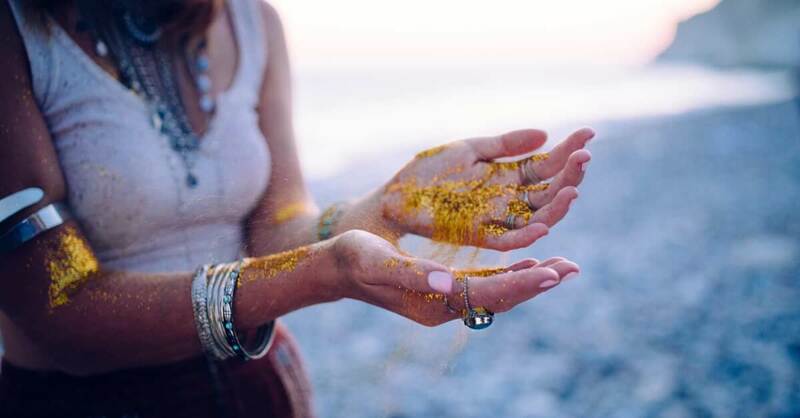 If you’re going to cover yourself in glitter here’s a pro tip: Choose a 100% natural carrier oil and rub it in, then pour on the glitter. The glitter sticks to your skin, stays in place and your thirsty skin gets moisture too! We’ve got a great blog post all about all the different kinds of carrier oils and how each one benefits your skin. Bonus tip: Mix in some essential oils with your carrier oils to smell great and keep your glitter in place. 3. Get some solid sleep in between events. Partying all night is basically the point of going, which means you need to hit the sack hard for your beauty sleep before heading to concerts again in the AM. Pack our Plant Therapy Sleep Tight set to make sure you have great sleep and smell amazing. Plus it already comes in a handy (and cute) travel zippered pouch! Avoid your phone right before bed to avoid sleep-disrupting blue light. Try applying some diluted essential oils 30 minutes before bed. Go to bed and wake up at the same time every day to create a routine. Pop some ibuprofen and chug some water right before bed to avoid morning dehydration. Spend a few minutes meditating before you fall asleep. Make sure you have a comfy pillow and a warm blanket. 4. Smell amazing even drenched in sweat. Even if you’re sweaty, you don’t have to be stinky. 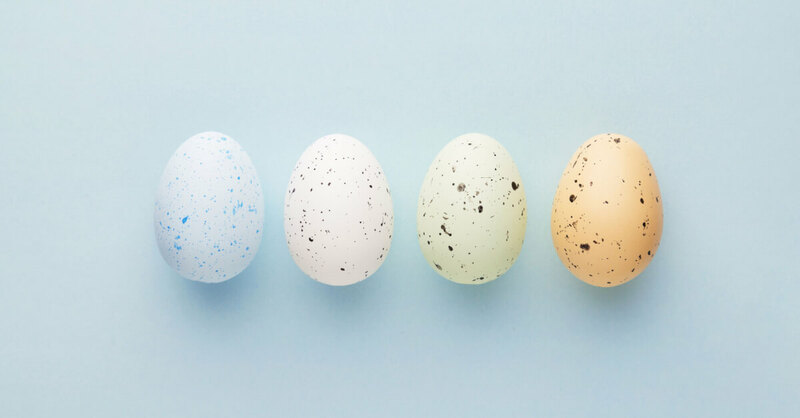 Whip yourself up a DIY rollerball or solid perfume to make sure you smell amazing and unique. Customize your scent to match your outfit and promote your best life vibes. We even have a handy guide to blending top, middle and base notes like a perfume pro! Bonus tip: Be careful not to use phototoxic oils in your blend since you’ll be soaking in a ton of sun, and avoid any potential negative effects. 5. Stay cool with Hydrosols. 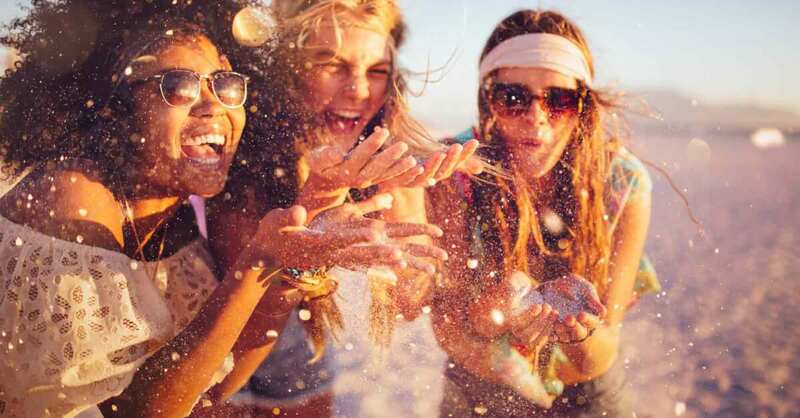 Keeping cool during a festival season can be almost impossible…for everyone else! Keep this hack in mind: Bring a cooling hydrosol (A “hydrosol” is actually a chemistry term meaning “water solution”) with you and spritz yourself down when you’re feeling overheated. You’ll get a blast of chill mist that not only smells great, feels great on hot, dry skin but also gives you all the benefits of the essential oils they came from. Want one more reason to use a hydrosol for festival season? It does double duty as a facial toner! Rose, Helichrysum, Tea Tree, and Melissa Organic Hydrosols make wonderful facial toners. They are safe and gentle enough to use directly on the face. Just spray onto a cotton pad and wipe onto your face. 6. Have some healing handy at all times. You never know what’s going to happen, or what kind of bumps and bruises will occur (especially during a show). 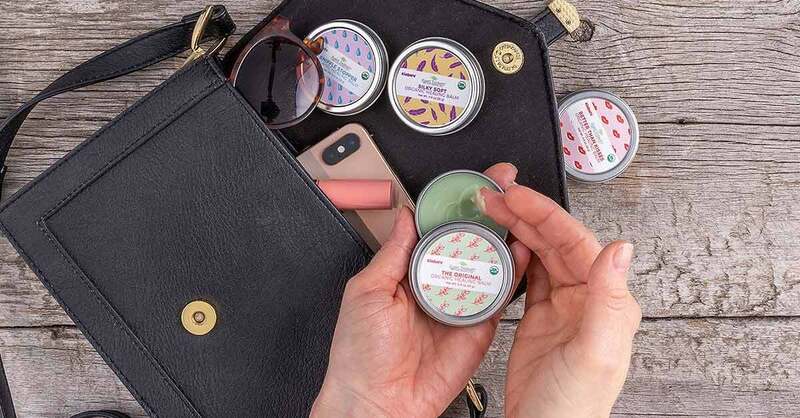 Keep on-the-go natural healing at your fingertips with our Organic Healing Balm Squad in the perfect purse-sized package. Getting sick or allergies keeping you from having a good time? Use Sniffle Stopper! Sunburn or scapes and bruises from a wild night? Better Than Kisses has you covered. Check out all the ways to use your portable Balm Squad in this blog post! Bonus tip: Need another reason to check out Hydrosols? Lavender, Rose, and Chamomile Organic Hydrosols are incredibly soothing to burned skin. If you’ve got a minor burn, just spritz on the affected skin to help soothe any redness and cool you down. 7. Keep your hands sanitized – no really. I don’t think we need to really go into detail about how many germs you’ll be coming into contact with during this festival season. But let’s just take a moment of silence for your immune system. Instead of spending the next month paying for a week of fun, keep a handy roll-on bottle of Germ Fighter in your belt bag, and rub into your hands regularly to avoid catching something you’ll regret. If you’re adding some natural essential oil goodness to your festival travel bags, don’t forget to check out how to travel with essential oils! 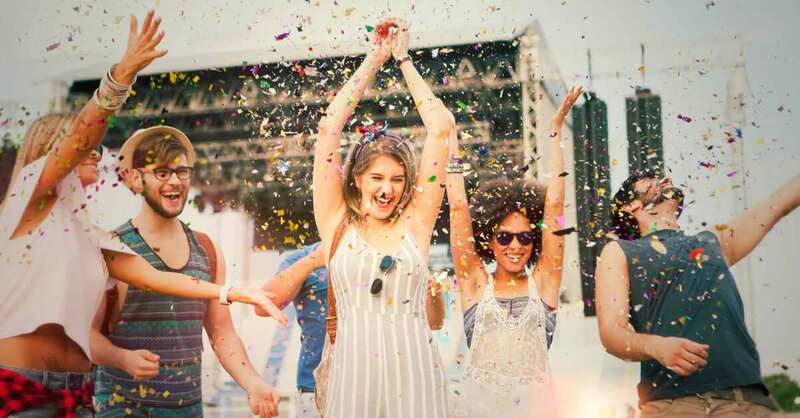 Trust us, you do not want to get stuck at airport security and waste valuable festival time. 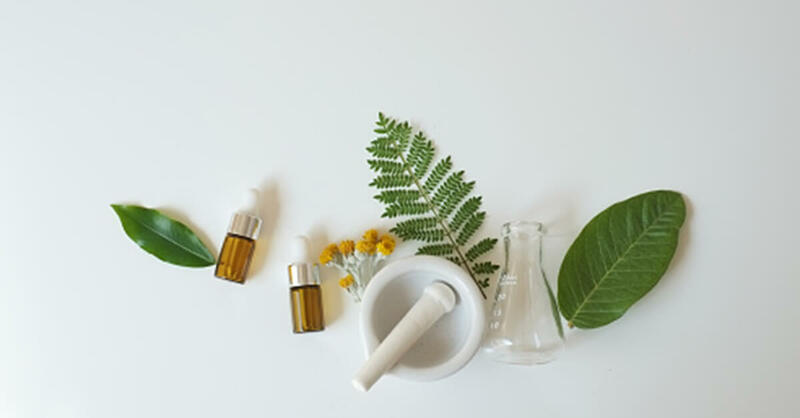 Welcome to our series for Plant Therapy blog: Ask our Plant Therapy Certified Aromatherapists! Where you ask, and we answer your most burning oily questions. Wondering who your Plant Therapy Aromatherapists are? You can get the full introduction to our whole team on our Meet Our Aromatherapists page! 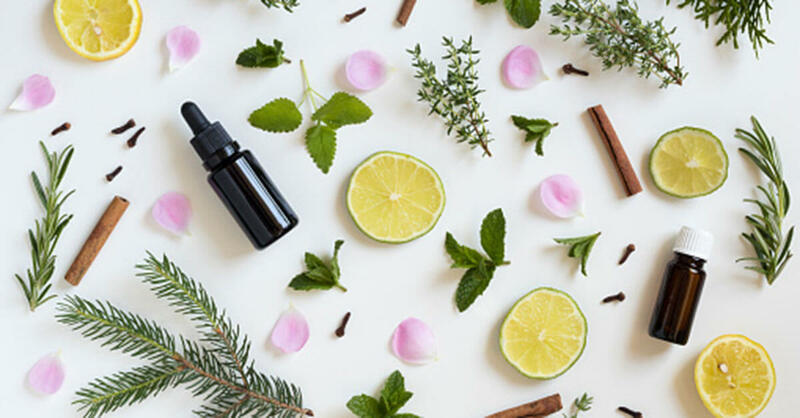 Because Plant Therapy is dedicated to being transparent, we knew we wanted to introduce you to the team behind answering your essential oil questions. Which oils are best for cleaning? Is there such a thing as a sanitizing oil? I want something that will kill the germs and bacteria! 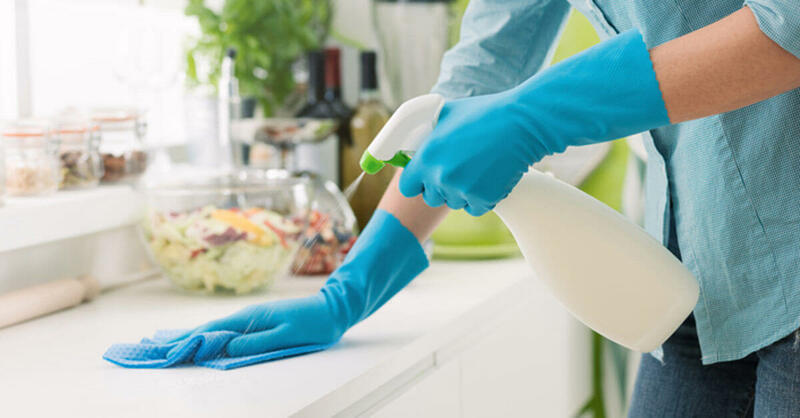 There are essential oils that have properties that are effective for cleaning. I’m the mom of six busy children and I end up doing a lot of cleaning up after them. Let’s just face it, kids can be gross. Some of my personal favorites for cleaning are Lemon, Orange Sweet, Lavender, Palmarosa, or Tea Tree. When I want something quick, I rely on Germ Destroyer synergy as an addition to my cleaning DIYs. 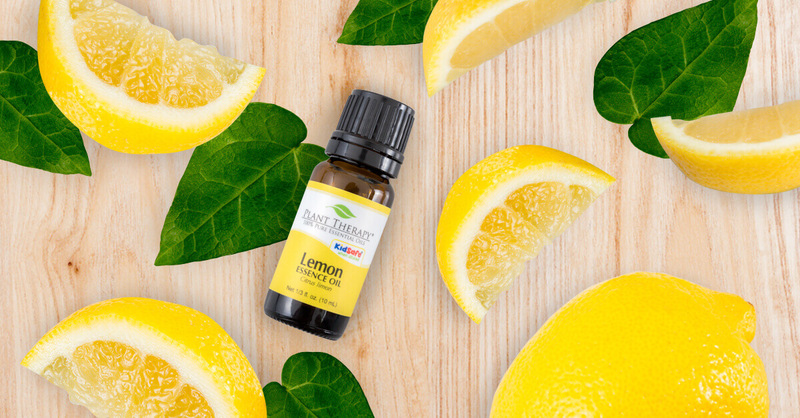 When I can send the kiddos out with their dad and have a day when I can use non-KidSafe oils, I really like to pull out Lemongrass, Basil, and Thyme for use in a DIY cleaning spray. I also like the combination of Cinnamon, Eucalyptus, and Peppermint, Not only do these oils smell fabulous together, they’re super effective for cleaning purposes. Germ Fighter is another synergy that I reach for often. I like to use this synergy in toilet bombs or to clean the bathroom walls/shower curtain to combat issues common in areas with high humidity. 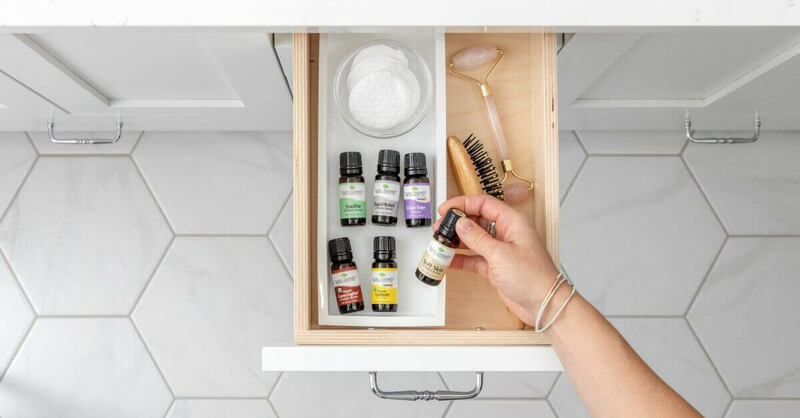 For recipes to utilize these essential oils, I would recommend checking out this helpful blog post: The Guide to Spring Cleaning. Allergy remedies…other than Lavender, Lemon, Peppermint, please! I’m not a Lavender fan at all. Something that smells amazing AND clears my nose LOL. This is such a great question Regina (and I love your name btw!) I have to deal with this exact issue in my house every year. But your girl also has allergies like woah. So what do we use in our house? I seriously can’t talk enough about this blend, and its amazing ability to help with allergy symptoms! Our Marketing Director, Mykeah Kranzler, recommended this blend when I started working at PT, and we’ve been using it ever since. Diffuse Clear Again or keep it in a personal inhaler. I have some serious, unpleasantly not-pretty seasonal allergies and this blend is my savior. I diffuse clear again at night and it drastically helps my breathing, itching, and sneezing (and helps curb the miserable runny nose, too). We also make a KidSafe version of Clear Again, Sneezy Stop, for kids under 10. 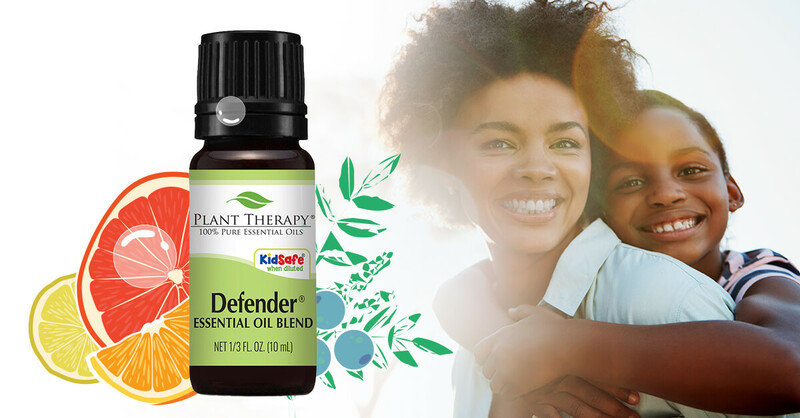 Now, this might sound like an advertisement for a Plant Therapy blend, but I swear to you this product is on my “must-have” list even if I wasn’t working for PT. It’s that good! But in case you don’t want to run out and buy Clear Again, there are tons of other essential oils that are also great for allergy symptoms. Keeping pests where they belong…off of you and out of your house! So, I’m probably a bit too enthusiastic to start gardening. By the start of January, I’m already organizing my packets of seeds, containers, and plant lights for indoor germinating. So that means, by about this time I’ve got plenty of beautiful little seedlings, but also, *sigh* … gnats. So I’ll address those tiny demons first. They love how seedling soil has to stay a bit damp and that warm grow light, right? It turns into a gnat paradise pretty fast. Super gross. I always start with hydrosols, like Peppermint and Helichrysum. I spray it on the plant containers and you’ll notice immediately that gnats get away from it. But when they’re in your house, it really just means the gnats will find somewhere else to go. Drastic measures are necessary. And I’d like to mention that I’m one of those people who will carefully capture spiders or shoe flies out the door before I consider reaching for something to smash them with. But gnats just multiply so incredibly fast that they really can’t be dealt with that way. So here’s what I do that I’ve found really effective: I take a mug and fill it about half way with some warm coffee. Then, I add a couple of drops of my Coffee Essential Oil to the cup, and the gnats LOVE it. They find the mug, get in the coffee, and, well…no more gnats! It might gross you out when you check the mug at the end of the day and see a ton of dead gnats floating around, but honestly, it’s better than them flying all over the house. My family is already used to my gnat-coffee technique, but if you want to give this a try, please label the cup so no one drinks it! Just take some washi tape and write a very clear warning on it. For ants, I use Peppermint Essential Oil. This was actually one of the first things I ever learned about essential oils—that ants hate peppermint! Kind of a weird first thing to learn I realize, but I used to live in a rental with some serious summer ant problems. If you find them congregating somewhere inside your home, just drop a drop of Peppermint in the spot. They hate it and will have to find somewhere else to go, hopefully back outside where they come from. You can also make a spray: for a 2-ounce spray bottle, I just use 10 drops of Peppermint with an equal amount of Polysorbate 20 and fill the rest with water (make sure to add a preservative as well if you don’t want to keep it in the fridge and use within a week). I spray in the area of the ants or use it near my doorways or anywhere outside I see too many ants hanging out. Honestly, this is a recipe that could be improved upon. I’ve heard people also having success using Clove and Lemon EOs, as well as vinegar or even dish soap instead of water. If this is something you want to play around with, I’d love to hear what you come up with in the comments! Lastly, let’s talk spiders. Very similar to ants; they hate Peppermint. They also hate citrus oils. The Peppermint spray recipe I talked about works for those small household spiders, but what about something larger? Like hobo or jumping spiders? The best way to use essential oils for those kinds is to work on prevention, rather than reaction. Many large spiders don’t like clean, well-lit areas with bright, citrusy aromas. Diffusing oils like Lemon, May Chang, Lemon Eucalyptus, or Lemongrass help keep them out of the house. You can use these oils in your ultrasonic diffuser, but the Diffuse on the Move is also a great choice since the oils are being diffused without any water, making for a stronger scent. You can also place a drop or two of these oils on a cotton pad to passively diffuse in areas that spiders are appearing. I hope this helps, Alicia! 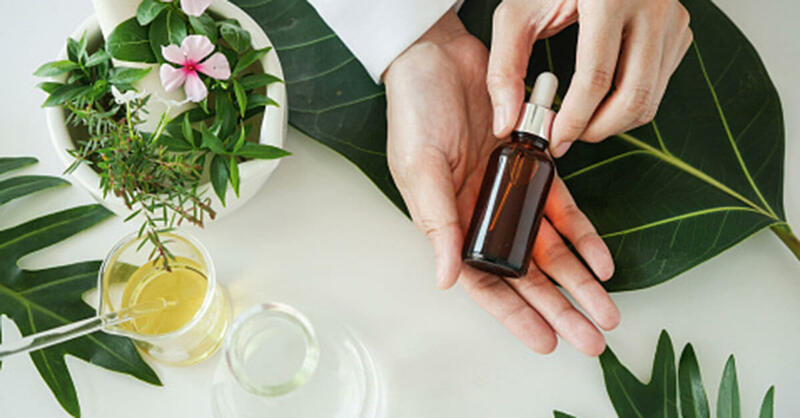 If you have questions for our Certified Aromatherapy team, head on over to our Safe Essential Oil Facebook Group and watch for our monthly post for your chance to get featured and have your questions answered! Many of you know that Plant Therapy is a locally owned and operated essential oil company (we love you, Idaho! ), but you may not know how passionate we are about giving back. 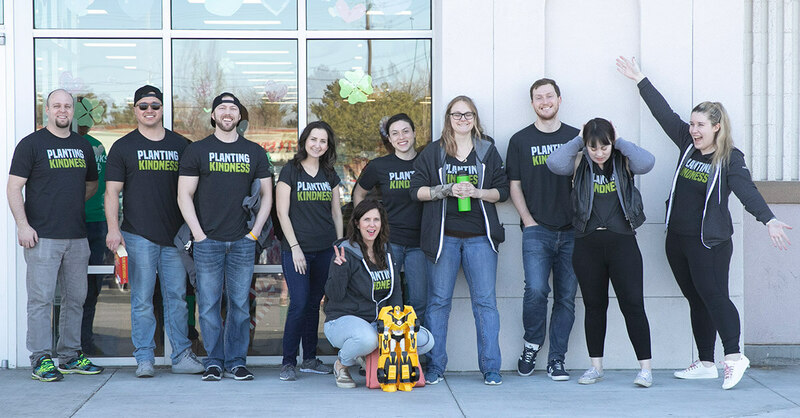 Since the beginning, Plant Therapy owners and staff have placed donations, service work, and local support at the core of what we do and how we operate. Each year, we set aside a portion of the proceeds from each unit sold to fund local and national philanthropic causes. 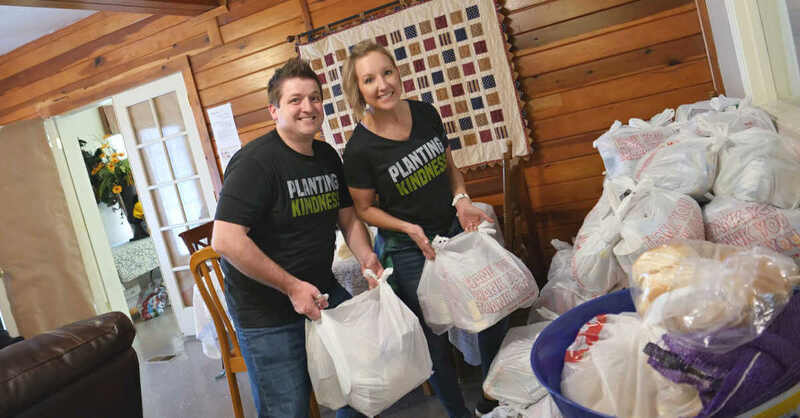 On March 15, as part of our Planting Kindness program, the Boise Marketing team volunteered at our local branch of the Idaho Youth Ranch. 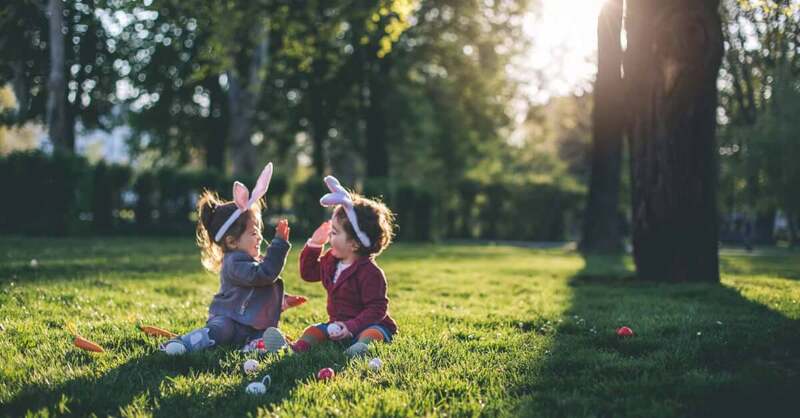 The Idaho Youth Ranch is an Idaho-based non-profit agency that offers emergency shelter, residential care, youth and family therapy, job readiness training, adoption services (and more) for kids and their families in the state of Idaho. 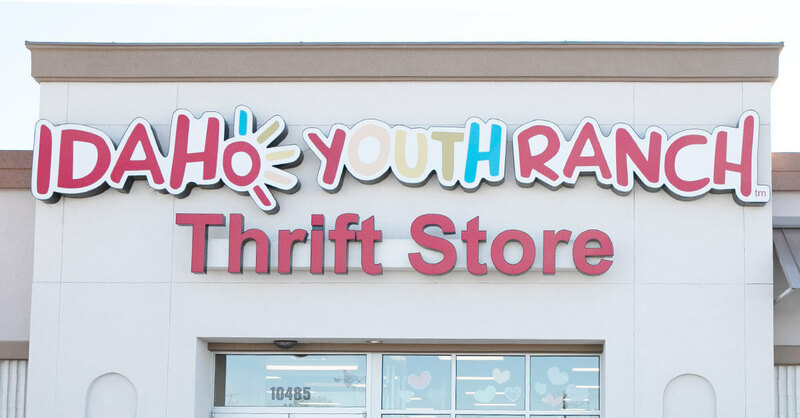 The Youth Ranch also operates a large number of thrift stores throughout Idaho that help fund youth programs and services. Idaho Youth Ranch provides jobs for more than 400 Idahoans in communities across the state. These jobs include working in program operations, thrift stores, offices, and distribution centers. 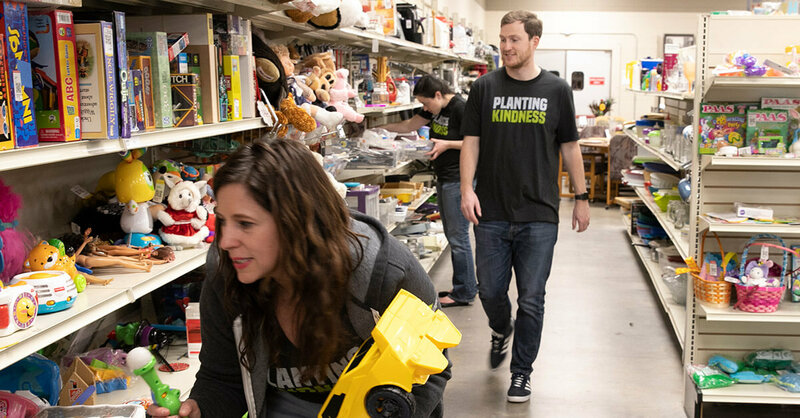 This March, the Plant Therapy Marketing team’s service project was donating our time to our local Idaho Youth Ranch thrift store by helping organize, stock, and sort clothing. As a company (and as a department), we believe in giving back to our community as much as possible. And there is no better place to start than the Idaho Youth Ranch. 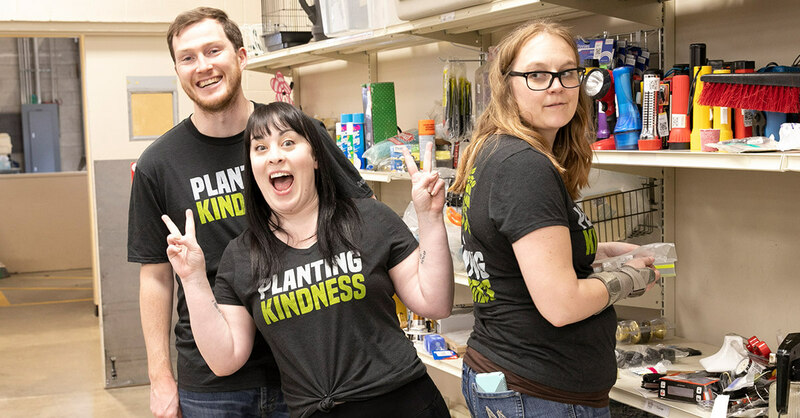 Planting Kindness is at the heart of what we do. We have tons of other amazing things planned for 2019 and we can’t wait to share them with you! Plus, each full-time Plant Therapy employee is provided paid service hours. This gives us the ability to make an impact for causes we care about personally. You can follow along with our kindness-planting through our social sites (Facebook, Instagram, Pinterest & SEOR). You’ll also stay up to date on how you can jump in and lend a hand in your own neighborhood! Or follow our philanthropy by watching for our #PlantingKindness tags attached to our acts of kindness. In 2004, Plant Therapy embarked on a mission to solve a devastating issue, and that journey continues still today. 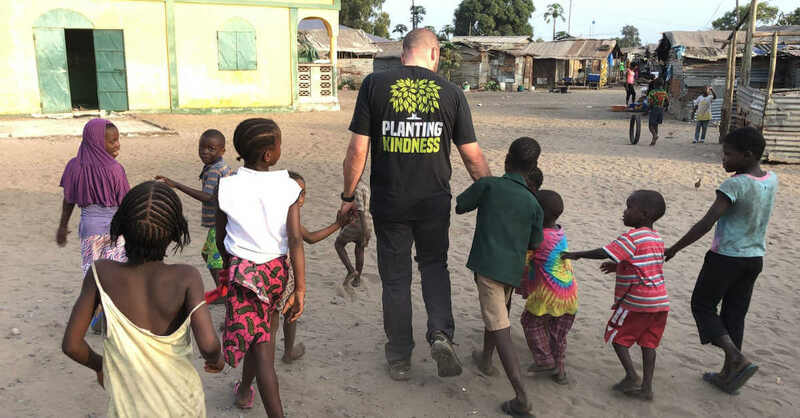 Plant Therapy joined forces with the Africa Heartwood Project in an effort to help rural communities in West Africa who were in desperate need of clean water. We all know that clean water is essential for all life. However, KEEPING the water flowing long after the well is installed is the real solution these locals need. Plant Therapy and the Africa Heartwood Project (AHP) agree that creating a sustainable water source would take more than just digging a well. In order to have lasting success and a future of clean water, it would take service after installation. So, this project focuses on training villagers to be able to service and maintain the wells that we install. It’s more than just a well! Why a well for the Clean Water Project? 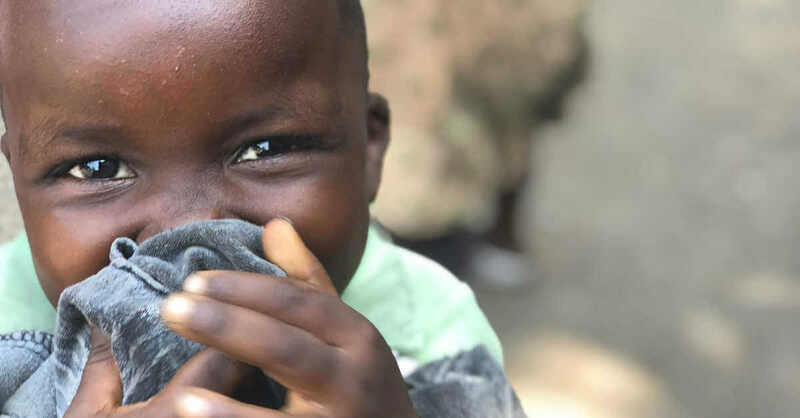 Our partnership and work in Africa are centered around building a “Community Development System.” This system is all about participatory community development, empowerment, and sustainability. It’s based on each community getting the training and education they need and then implementing these skills. They begin sharing concepts for self-reliance, economic cooperation, and proactive improvement for the common good of all members of each village. This project educates the entire village on the need for community contribution and trains individuals to maintain their life-saving resource by repairing wells and providing important preventative maintenance. We are very passionate about this project and have continued our work with AHP through service work and monetary donations since our first trip in 2004. 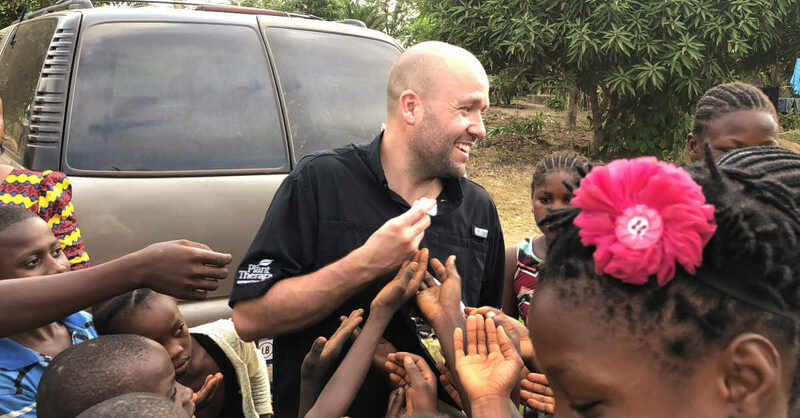 PT Owner, Chris Jones, just returned from Africa weeks ago and we wanted to share some of his moments with you. His time was spent with locals installing wells, training, and organizing community meetings. Of course, everyone was able to relax a bit and enjoy the fruits of their labor and good company a bit too! We hope you enjoy some of the footage Chris brought home with him from this amazing mission. We are certain that it will infect you with our #PlantingKindness spirit and brighten your day. For more information on how you can help AHP bring clean water to villages in need, visit their website. Meet Plant Therapy’s newest addition: Defender! 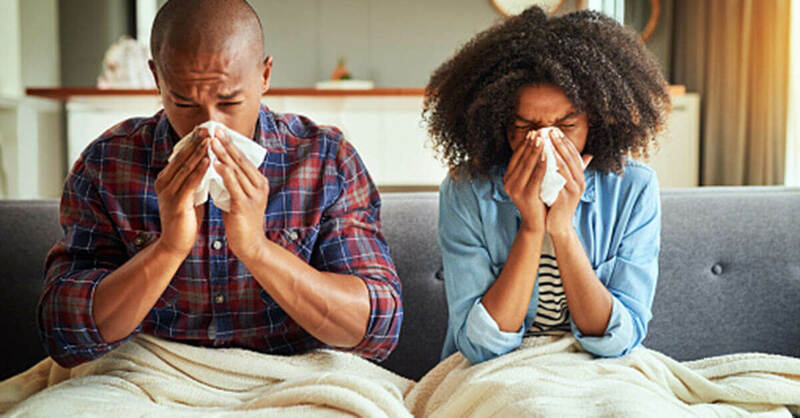 Worried about Spring sniffles? Want to help keep germs at arm’s length? Then KidSafe Defender has your back! 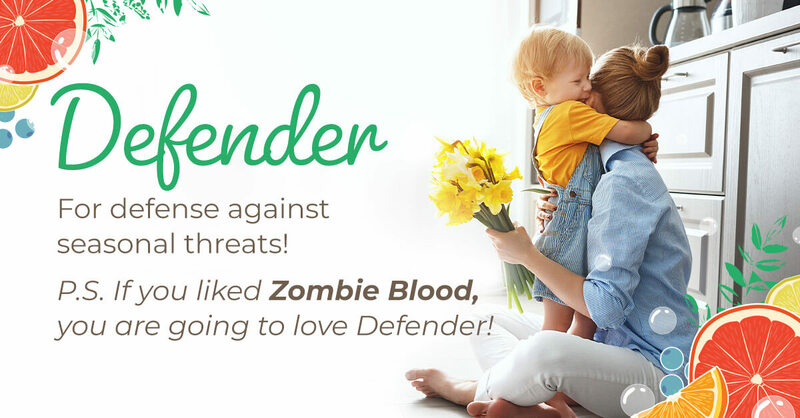 Help support your entire family against the threat of seasonal illnesses with the immune-boosting power of Defender. Its bright and fruity fragrance will freshen up your home and encourage a clean and welcoming environment. 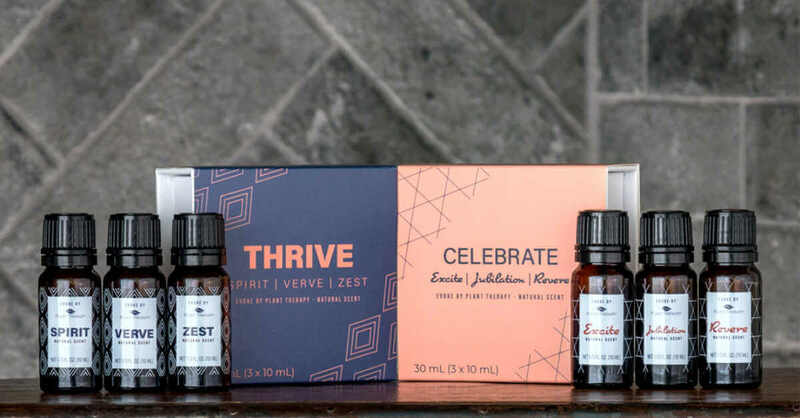 Plus this dynamic combination of essential oils is a great way to support a healthy immune system and uplift your spirits with its pleasantly sweet aroma. This synergy combines the citrusy aromas of Blood Orange, Pink Grapefruit, Lemon Steam Distilled with the woody aromas of Frankincense and Juniper Berry. Finally, this blend is rounded out with the sweet, floral scents of Lavandin and Sweet Marjoram. All of these amazing essential oils work together to create an incredible blend for the whole family. To enjoy the uplifting aroma, diffuse a few drops in your favorite Plant Therapy diffuser. If you prefer to use it topically, dilute it to 2%-4% in your favorite carrier oil or lotion. And who doesn’t love a fantastic natural cleaner! Start by adding 15 drops of Defender and 1 tablespoon of Castile Soap or dishwashing liquid to 4 ounces of distilled water. Just spray and wipe to help keep your home clean during times of seasonal illnesses. And for yet another way to use this amazing synergy, check out this simple hand sanitizer DIY. 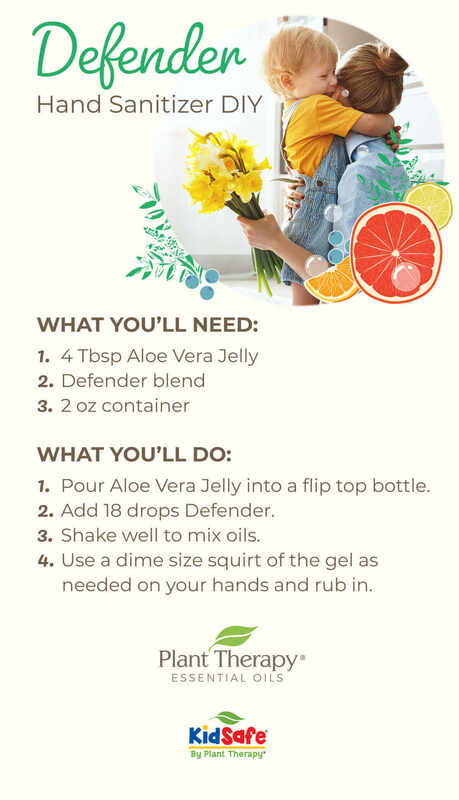 Pour Aloe Vera Jelly into a flip top bottle. Shake well to mix oils. Use a dime-size squirt of the gel as needed on your hands and rub in. People might tell you that you don’t need any more essential oils. Those people are wrong, and you don’t need that kind of negativity in your (oily) life! New six-oil set, here you come! You know and I know that each season calls for its own oily re-stock on beloved products. That’s why right now when you build your own six-oil set and use coupon code STOCKUP through March 31 you get 15% off! So excited you don’t know where to start? We’ve got your back with these three ready-made six-oil set ideas. KidSafe Skin Soother Blend: A safe, natural, and effective way to help clear your child’s rough, red skin. KidSafe Silky Soft Blend: Give your child’s skin that silky soft feeling. Silky Soft improves skin texture, reducing the appearance of roughness and redness. Skin Restore Blend: Great for helping reduce the appearance of stretch marks. KidSafe Itch Away Blend: Help relieve the swelling, itching, redness, and discomfort associated with bug bites and minor skin irritations. 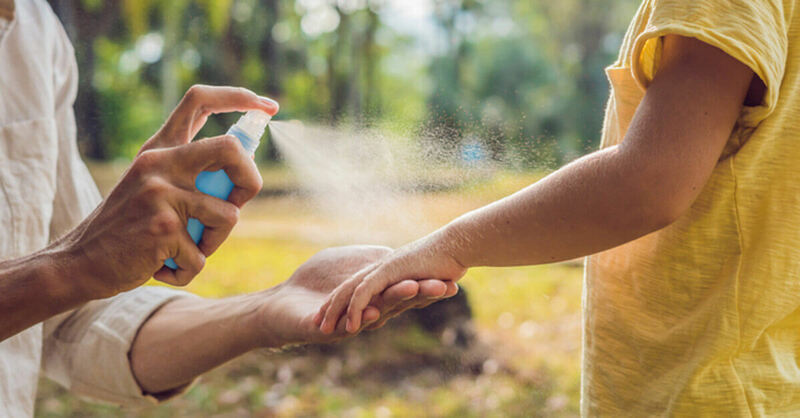 KidSafe Sheild Me Blend: Let your family enjoy the great outdoors with this natural, effective barrier, shielding the whole family from outdoor annoyances. 2. All citrus, all the time set. Love spring, but get a runny nose even thinking about all those flowers? Have no fear, citrus is here for you. 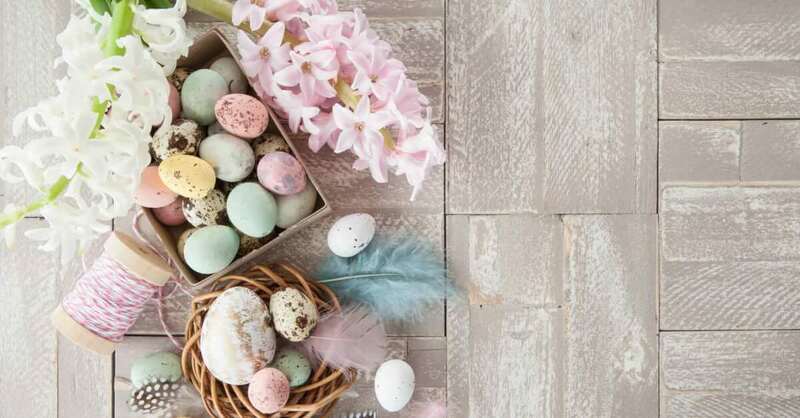 You get all the benefits of a bright, cheerful spring scent with none of the bad allergy-related memories. Sweet Orange: Useful and it smells great, Sweet Orange’s antiseptic properties make it a great addition to cleansers for use on cutting boards, countertops, bathrooms and any surface where you want a germ-free clean. Blood Orange: Orange Blood, while in the same family as Orange Sweet, has a more intense citrus scent that adds a little something special. Pink Grapefruit: In our opinion, there’s no better oil than the “sparkle” of Grapefruit Pink to lighten up brain fog and moodiness, and help brighten any day. 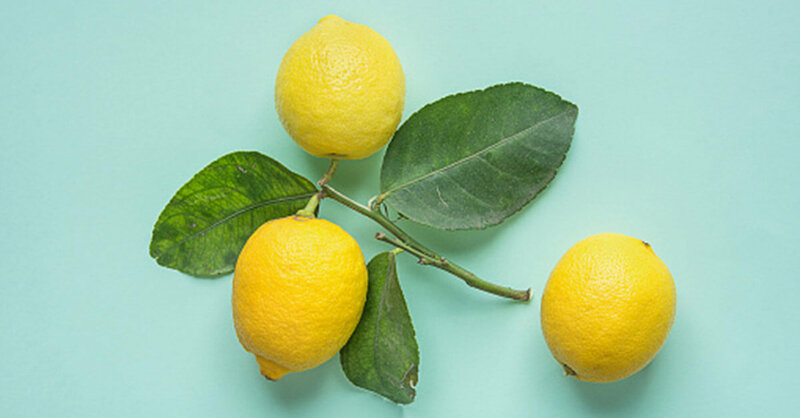 Lemon: Lemon is one of the most easily recognized essential oils because of its refreshing, energizing and uplifting scent with some serious zing. Kumquat: Kumquat means “golden orange” in the English language and is very similar to Orange Sweet Essential Oil, but with a much richer orange scent. 3. 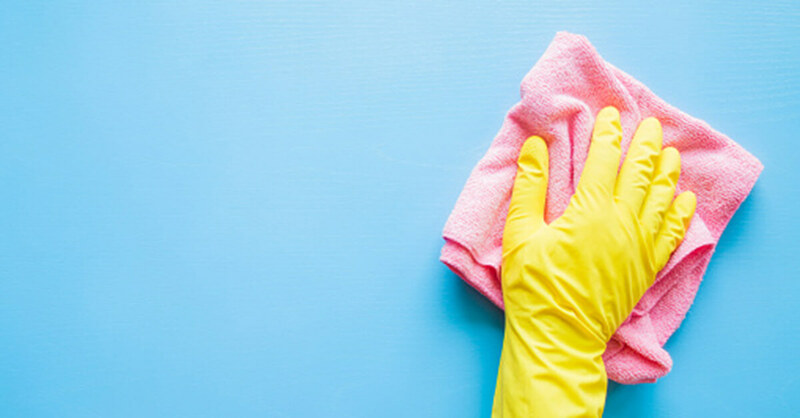 Hello, spring cleaning set (#tidyingup)! Lemongrass: Perfect for adding to all your DIY homemade cleaners, this oil is a powerhouse for helping cut through grease and keep germs at bay. Lemongrass is also known to be a helpful addition to outdoor sprays, and can help zap odors when diffused. 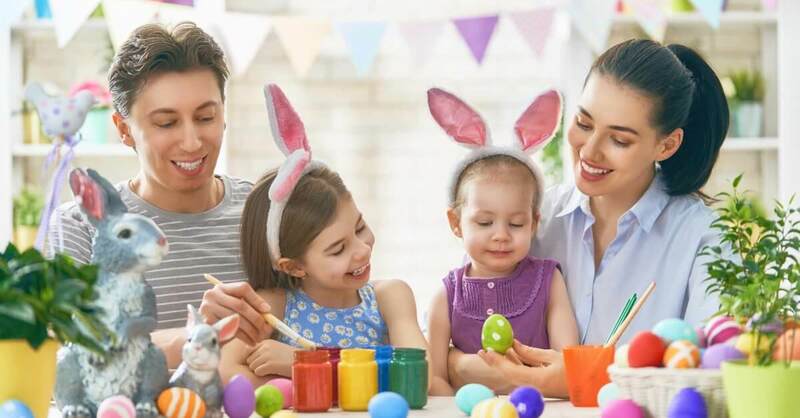 KidSafe Germ Destroyer: Germ Destroyer helps protect your children from seasonal threats (like those pesky cold and flu bugs) and helps everyone stay healthy while being totally safe for kids to use. Germ Fighter: Whether it’s keeping your hands clean, or warding off seasonal threats going around the office or school by keeping your body’s immune system on the attack, Germ Fighter gives you that extra protection you need. Plus, it smells great! 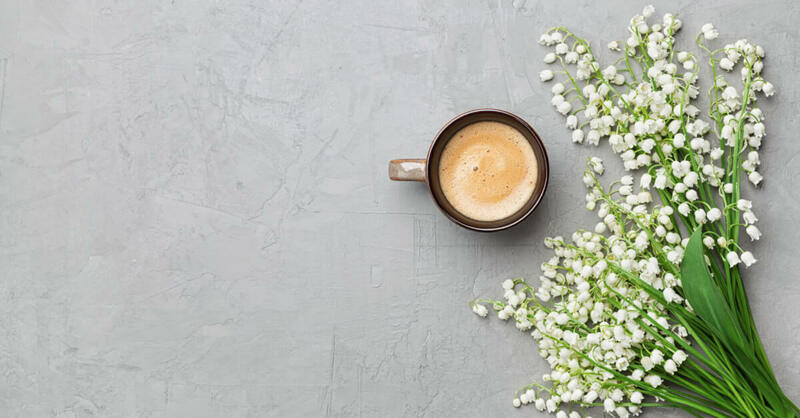 Tea Tree: Scent and germ-busting favorite, Tea Tree makes a wonderful addition to all-natural home-cleaning sprays, especially in steamy, musty areas (like your bathroom). Deodorizing Blend: This blend helps take out pretty much any odor, from anything. Try making a DIY odor-busting spray and spritzing on anything with a funky scent. Sweet Orange: With a fantastic smell, this oil contains a naturally occurring solvent called limonene that is great for cutting through grease and grime. Its antiseptic properties make it a potent cleanser for use on cutting boards, countertops, bathrooms and any surface where you want a germ-free clean. Still looking for more ideas for your six-oil set? Be sure to check out this post on the essential six-oil sets you need in your essential oil collection. Trust me, you’ll find something that sparks joy! For 25 years, The Valley House has been helping those in need in the Magic Valley. The Valley House is a Homeless Shelter with the capacity to help up to 35 families at a time. They have common areas, beds, and small apartments available at it’s two current locations. However, those in need in Twin Falls are in luck, as the Valley House is expanding! Construction is almost complete on the newest addition to the Valley House, Sharon’s Place is set to open soon! 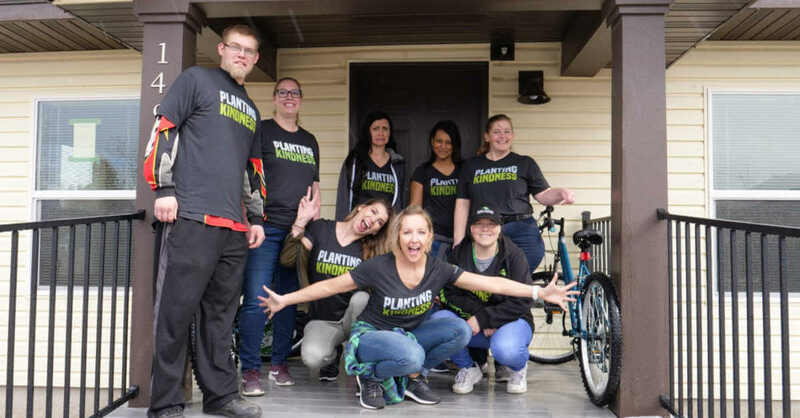 Plant Therapy sent a team of helpers over to put a little #PlantingKindess love into this new space for our April volunteer day! Our PT Team sent volunteers in full force to help add paint and elbow grease to ensure the new space is ready for future tenants. We cleaned, organized, and even made a few food bags for visitors that reach out to the Valley House needing a meal or two. The Valley house hands out approximately 350 food bags per month, so our assembling and bagging skills were a welcomed sight. You may not know that the Valley House is 100% community funded! This means they get zero government assistance or funds and rely solely on volunteers and donations. Last year, with help from members of the Magic Valley, the Valley House was able to help over 5,000 homeless individuals, of which, over 2500 were children. Plant Therapy was so excited to take some time and help this amazing place get ready for Sharon’s Place’s open house. 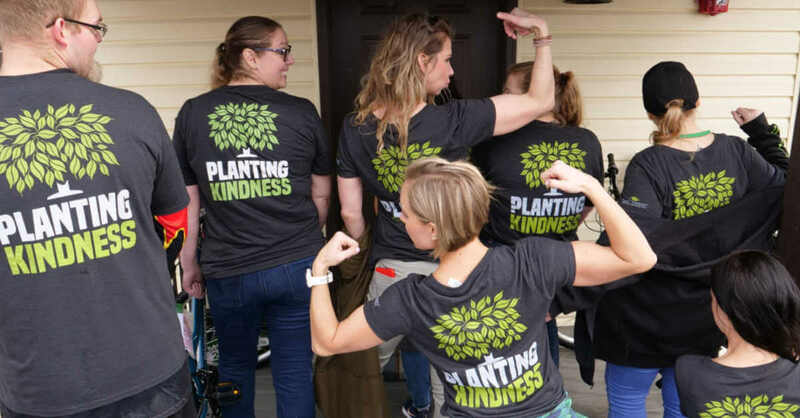 We look forward to more Planting Kindness events at The Valley House and hope to return often to work with Executive Director, Sharon, and her amazing team. 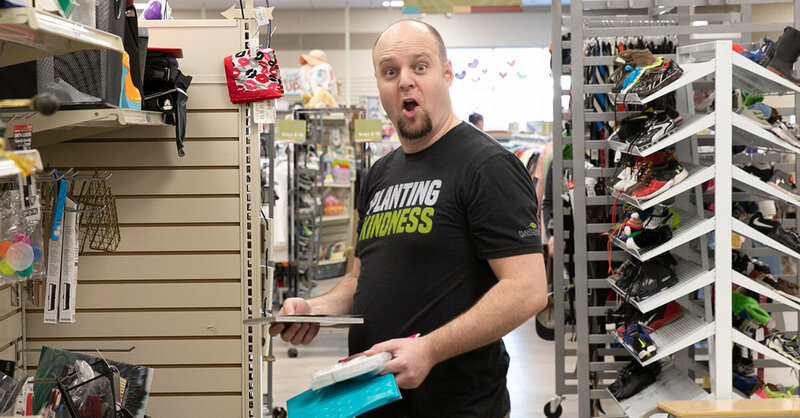 We hope you enjoy taking a glimpse into the day we had giving back and enjoying a day away from the office with our team. We use the words “carrier oil” a lot around here, but not everyone knows what a carrier oil is! Carrier oils are VERY important when using essential oils because essential oils are never supposed to be applied undiluted to the skin. Today we’re talking about what a carrier oil is by doing a deeper dive into each one and teaching when to use it. First things first, what is a carrier oil? A carrier oil is a vegetable oil derived from the fatty portion of a plant, usually the seed, nut, or kernels. Carrier oils also have their own different therapeutic properties, and your choice of the carrier oil should depend on what therapeutic benefit you’re looking for. A carrier oil is used to dilute essential oils before they’re applied to the skin. Why do you need carrier oils? If you dilute your essential oils with a carrier oil before applying them to your skin, the carrier oil helps prevent the essential oil from evaporating, enhancing their usefulness. That means you’re getting more of the essential oil absorbed into your skin. And the therapeutic properties of the essential oil are strengthened and enhanced by the carrier oil you choose. 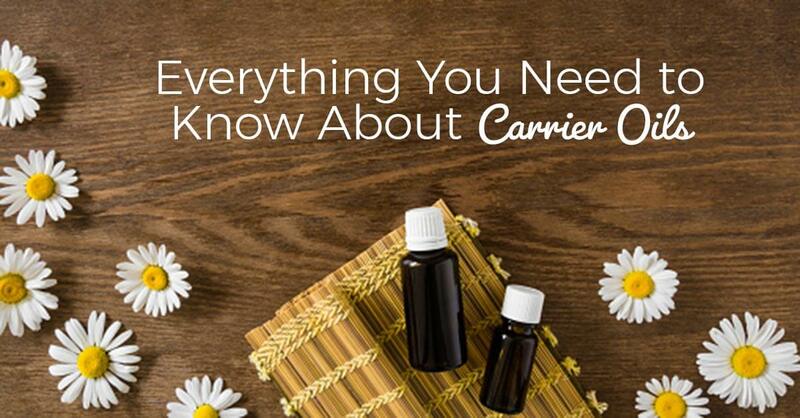 So now you know what they are, and why you need them… let’s dive into each carrier oil’s unique benefits! Each carrier oil brings its own benefits to the table. Apricot Kernel Carrier Oil has very little scent. It can be used in skin blends at 100% strength, which is great for simple blending. This oil is also slow to go rancid. Users can expect a shelf life of at least 1 year under proper storage conditions (cool, out of direct sunlight). This oil is wonderful for use in massages! Rub several drops of Apricot Kernel Oil between your palms and massage into desired areas. For dry hair, place several drops into the palm of your hand and work into hair strands to avoid flyaways and help moisturize strands. Combine with our Sensual Blend to help set a romantic mood with a massage. Try making your own natural hair detangler with Apricot Kernal Oil! Argan Carrier Oil is beloved in the cosmetic industry for its incredible conditioning and anti-aging properties. Rich in vitamin E and essential fatty acids, Argan Oil is known to make dull complexions glow, help diminish the appearance of fine lines, and restore skin elasticity. *While allergic reactions are rare, people with nut allergies should consult with their physician before using this product. Use as a facial moisturizer to improve skin elasticity on skin that is prone to acne. Add to natural unscented hair products to help moisturize dry hair. Avocado Carrier Oil contains Vitamins A, B, D, E, and beta carotene. It’s a deeply penetrating monounsaturated oil, slightly thicker and with a heavier feel than most carrier oils. A small amount of Avocado Oil (5-10%) is typically added to other carrier oils to enrich vitamin content and help nourish the skin. This oil is used mostly by product makers (particularly so in soaps, lotions, and creams). Add to other carrier oils to improve skin-nourishing properties. Use when making homemade lotions, creams, or balms. Try making your own homemade oatmeal mask using Avocado Carrier Oil. Camellia Seed Oil helps protect the skin from free radical damage, refines mature skin, and helps nourish your complexion. 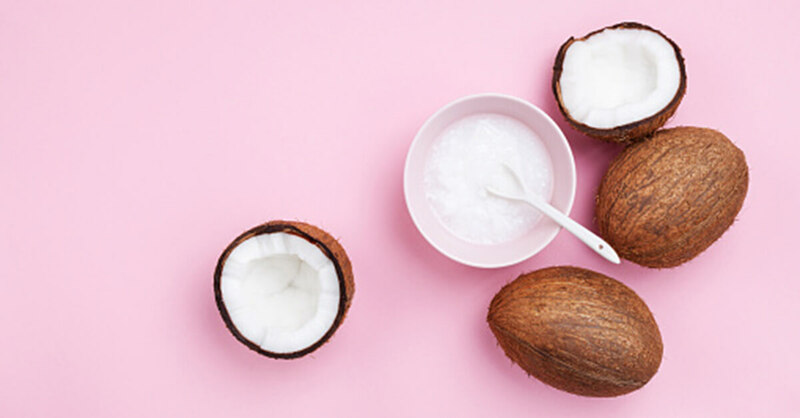 This oil is easily absorbed by the skin, leaving it feeling silky smooth without feeling greasy, making it one of the best-kept secrets in the cosmetic and hair care industry. This carrier oil can be used at 100% strength but often is mixed with other carriers. It also contains high levels of antioxidants that help to revitalize and rejuvenate the hair and skin. Use as a moisturizer or add to creams or balms to help smooth the look of fine wrinkles. Use in rollerball blends for quick-absorbing on-the-go use. Coconut Oil absorbs very quickly into the skin, making it ideal for use with any essential oil or blend for quick topical application. Because it readily penetrates the skin, this oil is perfect for rollerball blends, creams, and lotions. Plus, it leaves no greasiness on the skin. Fractionated Coconut Oil also produces a barrier on the skin, but will not clog pores, making it great for all skin types. Use as a skin moisturizer. Avoid skin irritation by using as a natural makeup remover. Keep hair lustrous and smooth by adding to natural hair care products. Add to rollerball blends, cream, and lotions. Try making your own DIY foot scrub, or use it to make your own beard-tending products! Evening Primrose Carrier Oil contains high levels of nourishing fatty acids and is excellent for use at up to 20% in skin blends but is not generally used at 100%. Add to shampoo or massage into the scalp to help reduce flakiness. Add to blends designed to support the menstrual cycle. Smooth into rough skin to help reduce redness and irritation. Add to homemade creams and lotions. Try mixing Evening Primrose oil with German Chamomile to make a nourishing DIY face serum. Grapeseed Carrier Oil is one of the lightest carrier oils available, and also has the benefit of being odorless. This oil is cold pressed and then refined to produce a light yellow-green colored oil that’s popular in cosmetics manufacturing. This versatile oil has numerous essential fatty acids. It has a rich, silky texture that is perfect for helping soothe away dryness and irritation. Grapeseed also won’t clog pores or cause break-outs and has mild antiseptic properties, making it great for acne-prone skin. Use when making homemade aromatherapy creams and lotions. Add to a massage blend of carrier oils for use in aromatherapy. Use as a natural moisturizer. Try combining Grapeseed Oil with Tea Tree and Vetiver essential oils to make your own pre-shaving oil! High in Vitamin E, Hazelnut Carrier Oil is known for its astringent qualities. It’s great for those with oily skin and can also help tone and tighten the appearance of your skin. Hazelnut is non-greasy and is best used for those who have oily skin but still want to enjoy the many benefits of carrier oils. The one thing that’s important to note: This oil is made from hazelnuts (a tree nut). Although our expert states skin reactions to nut oils are rare, those with nut allergies should consult their medical practitioner before coming into contact with Hazelnut Oil. Use as a moisturizer for oily skin. Tone and tighten mature skin by adding to your skincare regimin. Hemp Seed Oil can be applied topically as a moisturizer or used as a carrier oil for essential oil application. This oil is extracted mechanically without the use of chemicals, preservatives, or additives, and is cold pressed at low temperatures. It is then filtered to remove any natural suspended solids, leaving this oil with a slightly nutty scent. Add to body care, including creams, lotions, facial or body oils, massage oils, shampoos, lip balms, and soap. Add a few drops to your favorite natural hair care products to increase manageability and shine. 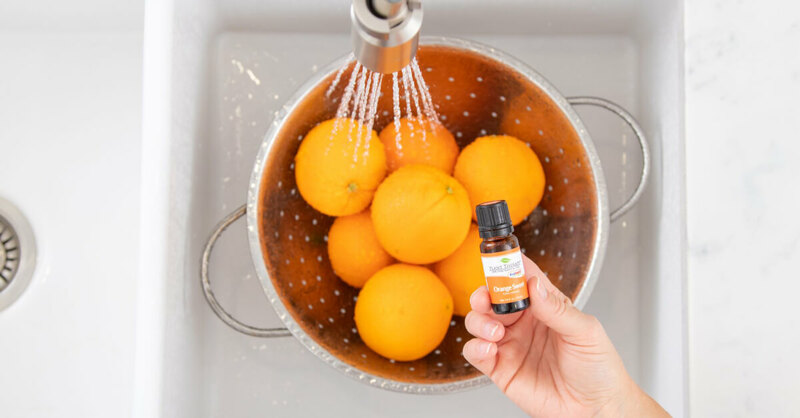 Try combining Hemp Seed oil with Mandarin essential oil to make your own DIY body wash.
Meadowfoam Carrier Oil is highly resistant to oxidation due to naturally occurring tocopherols and is one of the most stable lipids known. As a result, it has an extremely long shelf life. This oil has superior moisturizing and rejuvenating properties and is highly recommended for use in cosmetics and skin care products. It has mild ultraviolet (UV) protection properties, making it especially good to add to homemade products for outdoor use. Meadowfoam Carrier Oil is a key ingredient in products like suntan lotions, massage oils, and body lotions, hand/facial creams, hair and scalp products, cuticle repair cream, foundations and face powders, lipsticks, shampoos, shaving cream, and various balms. Rub several drops of Meadowfoam Oil between palms and massage onto hair to help smooth the cuticle and add shine. Add to skin essential oil blends, balms, body butter, and lotions to boost UV-blocking benefits. Use Carrot Seed Essential Oil with Meadowfoam Carrier Oil to make our Fountain of Youth Face Serum. GMO-free Jojoba (golden) is a favorite carrier “oil,” but Jojoba isn’t actually an oil. It’s a liquid wax! It closely resembles the natural sebum (oil) our own skin produces and is rich in vitamin E.
Because it is high in antioxidants, it can help slow down the rate of oxidation when added to other carrier oils. It has become a very popular carrier in the cosmetic and aromatherapy industries because of its excellent skin care properties. Use as a skin moisturizer, ideal for any skin type. Remove makeup naturally by using Jojoba oil to promote overall healthy skin. Additionally, it’s non-comedogenic, meaning it won’t clog pores. Use a few drops to moisturize and nourish hair. Treat a dry scalp, keep it flake free, and help with hair regrowth by adding to your hair care products. Use to soothe skin after too much sun. Smooth onto chapped/reddened skin to help relieve redness. Gently pat around the eyes to reduce the appearance of fine lines and wrinkles. Use Jojoba with Geranium Egyptian Essential Oil to make a luscious body cream. Rosehip Oil contains high amounts of vitamin E, vitamin A, and essential fatty acids, which promote collagen and elastin levels to increase and assists with cell regeneration. It is a key ingredient in creams, lotions, massage oil, face oil, and body oils. It’s best added at a concentration of 5-10%. This is due to its bright orange-red color that may discolor those blends. In high concentrations, Rosehip Oil may aggravate oily skin and will stain linens and clothing. Combine with Helichrysum Italicum to help reduce the appearance of scars. Use to soothe dry, irritated skin. Organic Sunflower Carrier Oil has high amounts of Vitamins A, B, D and E, and minerals. Plus, it has beneficial amounts of lecithin and unsaturated fatty acids making it a wonderful skin softener and conditioner. Sunflower is a versatile cost-effective carrier oil that has applications in both massage and aromatherapy. Add to massage oil blends. Use in topical aromatherapy roll-on blends. Sweet Almond Carrier Oil is an excellent emollient that helps to soften and recondition the skin. It penetrates easily and can soothe dry, irritated areas. Also, it’s excellent for all skin types. This is a great carrier oil for roll-on topical essential oil blends. Also useful as a bath or massage oil; Sweet Almond is a great addition to lotion bars, sugar or salt scrubs, and balms. *Made from almonds (a tree nut). Although our expert states skin reactions to nut oils are rare, those with nut allergies should consult their medical practitioner before coming into contact with Sweet Almond Oil. Massage therapists: note that this oil may stain linens. Add to lotions, bars, sugar or salt scrubs, and balms. Use Sweet Almond Oil to make immune-boosting bath bombs, perfect for relaxing and keeping germs at bay! Tamanu is rich and thick and absorbs into the skin luxuriously and slowly. It is best used within a blend with other carriers, because of its viscosity. Tamanu is gentle, effective, and promotes restoration and healthy skin growth, which will leave the skin soft and feeling better than new. If you have a nut allergy, you should not use this oil. Help sooth bug-bite irritation by applying Tamanu at 100% to reddened, irritated, or small bites. Reduce the appearance of scars when combined with essential oils. A small amount can be used on the face after it is cleaned to moisturize, reduce and relieve blemishes, and keep the face fresh, toned, and even. Use Tamanu to make nourishing homemade bar soap! 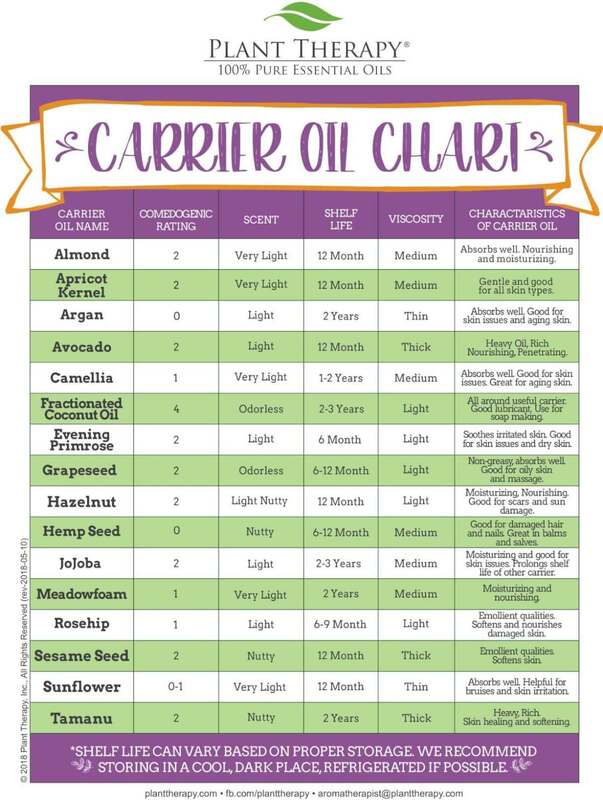 Want to learn more ways to use all these amazing carrier oils? Head on over to our Safe Essential Oil Recipes Facebook page to learn more! Essential oils, isolates, essences…what they are and what they all mean can be confusing (even for us). But we’ve got your back! Today we’re taking a closer look at the differences and benefits of these natural essential oil products. 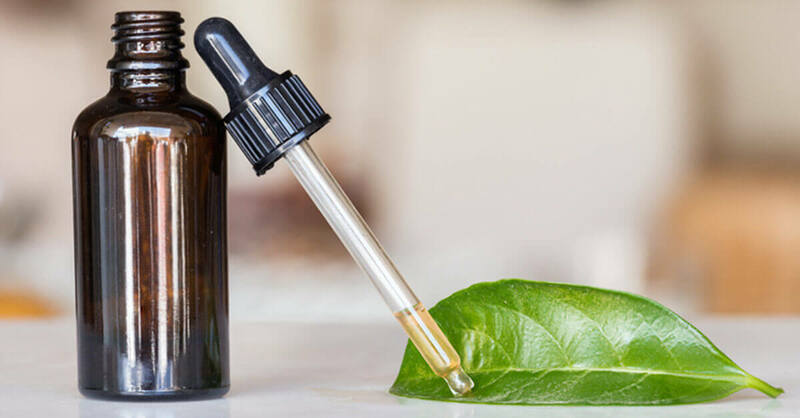 Essential oils are highly concentrated oils obtained from plants that have the odor and other characteristic properties of the plant (like their chemical constituents). The purest essential oils come from carefully cultivated plants from around the world. Plus, essential oils are actually not oily! They evaporate. Because of this, individuals should not apply them directly to the skin. When you take a plant, like Peppermint for instance, and crush its leaf, that distinctive scent is going to come through strongly. That’s because inside that Peppermint leaf are special cells and glands that hold the plant’s essential oil. When you crushed the leaf, you released the oil. These oils don’t always come from the leaves either. Oils may come from the delicate flowers, thin roots, fresh rind, wood, or resin of a plant. There are several extraction processes including steam distillation, hydrodistillation, or expression (cold pressing, used for citrus oils). Other types of natural aromatic extract include absolutes and CO2 extracts. Thankfully, we live in a time where essential oils can be processed, bottled, and purchased pretty easily. Essential oils are naturally extracted oils from different parts of a plant. But sometimes, it takes a lot of a plant to produce essential oils. For example, some say it takes about 60,000 roses to get just 1 ounce of Rose Essential Oil, which is why Rose Absolute is so expensive! The majority of essential oils have one, two, or three major constituents that each make up about 20-90% of the oil. There are other minor constituents at about 1-19% each, and many more constituents that make up less than 1% each. These constituents determine what benefits the essential oil will have. 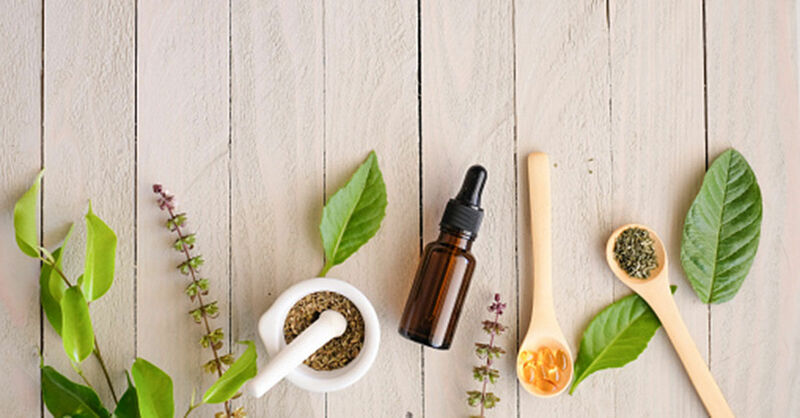 Essential oils are widely known to help with boosting the immune system, warding off seasonal threats, easing discomfort caused by overexertion or the normal wear and tear that comes from aging, helping with skin issues, easing worry, and other concerns. Essential oils can have even more powerful therapeutic benefits when blended correctly. Get the most of your essential oils by diffusing, either with a diffuser in your room, or a personal aromatherapy inhaler. Topical application is also the best way to get benefits for skin issues and wounds. To diffuse, choose an essential oil with a smell you love, fill your diffuser up with water, add the recommended amount of oil, and turn it on. It’s that easy! 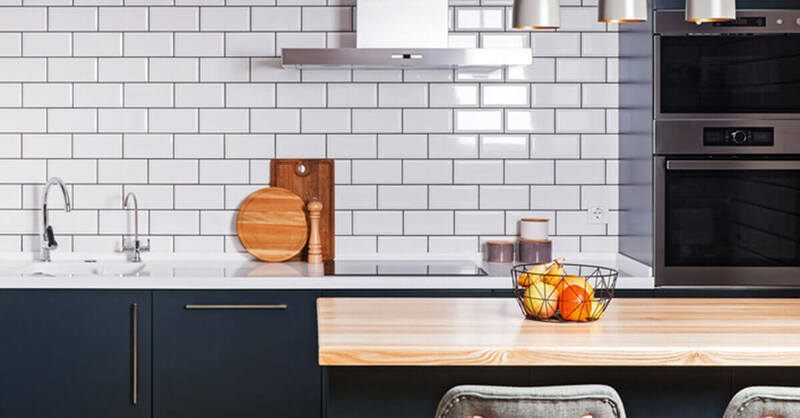 If you want to learn more about diffusers and how to use them, check out these blogs: Diffusers: Style vs. Functionality and How To Clean A Diffuser. Make sure to follow the directions given on your specific diffuser. Essence oils are a little different from essential oils. Essences are extracted as part of the process to create fruit juice. They come from either the fruit itself or the peel of the fruit. During the last phase of juice production, the volatile oils float to the top of the tanks where they are collected and distilled to separate them from the water of the juice source, creating essence oils. The result of this process is that essence oils have a ‘juicier’ scent than their essential counterparts, a little stronger and a little more intense (in a good way!). 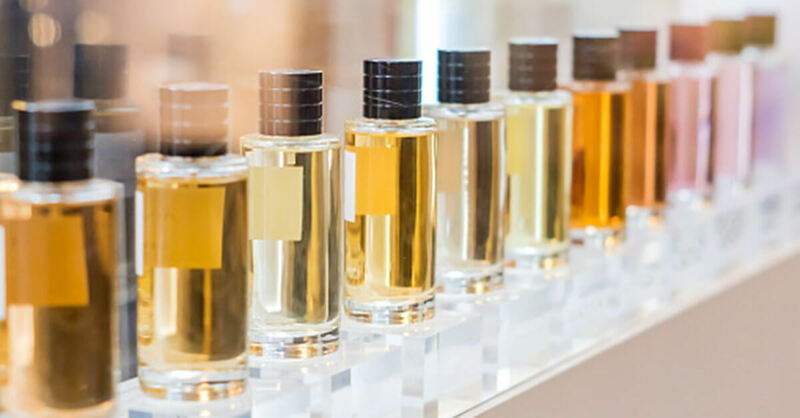 Because of the strength of their scent, blends using essences may need some adjustments to accommodate your personal scent preferences. Essence oils provide very similar benefits to their essential oil counterparts, with the added benefit of a slightly more intense smell. You can use essences interchangeably with their essential oil counterparts in your blends. Plus they will provide the benefit of that big boost to the scent! 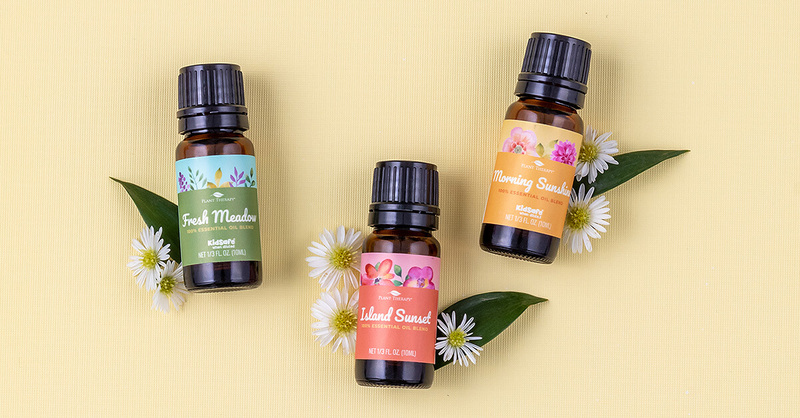 You can learn even more about essences in our in-depth Oil of the Month blog post, featuring Mandarin Green, Orange and Lemon essence oils. Ok, then what’s an isolate and how is it different? Now for isolates. Basically, isolates are isolated parts of natural essential oils. They are specifically taken out because of their scent notes and aromatic qualities, instead of therapeutic qualities. Isolates are often taken from essential oils using fractional distillation. This method involves the separation of a liquid into fractions using differing boiling points. As the oil heats up, the vapor rises into a long column above the still. The vapor is repeatedly condensed and re-evaporated as it moves toward the top, which distills the vapor many times. Because of this, the column can be tapped at various levels to draw off different fractions. This “isolates” different parts of the oil with different scent notes. This process of isolation is also useful for some carrier oils. For example, Fractionated Coconut Oil is technically an isolate, which is why it stays liquid at room temperature. Using isolates, along with essential oils and natural compounds, you can get a much wider variety of natural amazing scents to use to create perfumes and home scents. The important thing to note is that these are still natural products! Isolates give us an opportunity to make even more unique blends that are completely natural and unlike anything we’ve tried before. Plant Therapy made the decision to carry products that use isolates when we created our exclusive Evoke line of home fragrances designed specifically to pair emotions and scent. If you want to learn more about isolates, you can read even more about them in this blog post.